Rickenbacker was one of the first manufacturers to latch onto Leo Fender’s idea of an electric bass with a proper long scale. In 1957 they introduced their first bass model, the 4000, which was the world’s first through-neck bass. 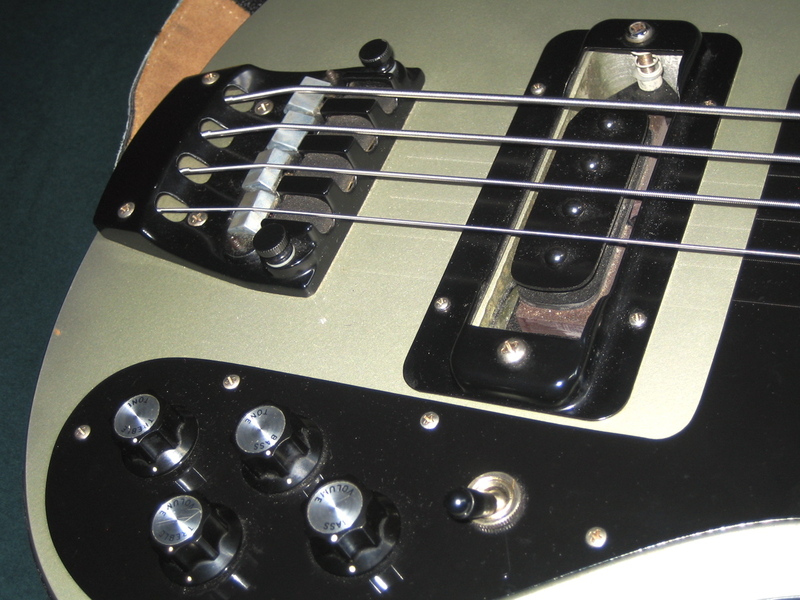 Rickenbacker’s two-pickup model – the Rickenbacker 4001 (introduced in 1961) – turned out to become one of the company’s most successful instruments. Paul McCartney and Chris Squire are probably the bass’ best-known users – they played the 4001’s export version 4001S. 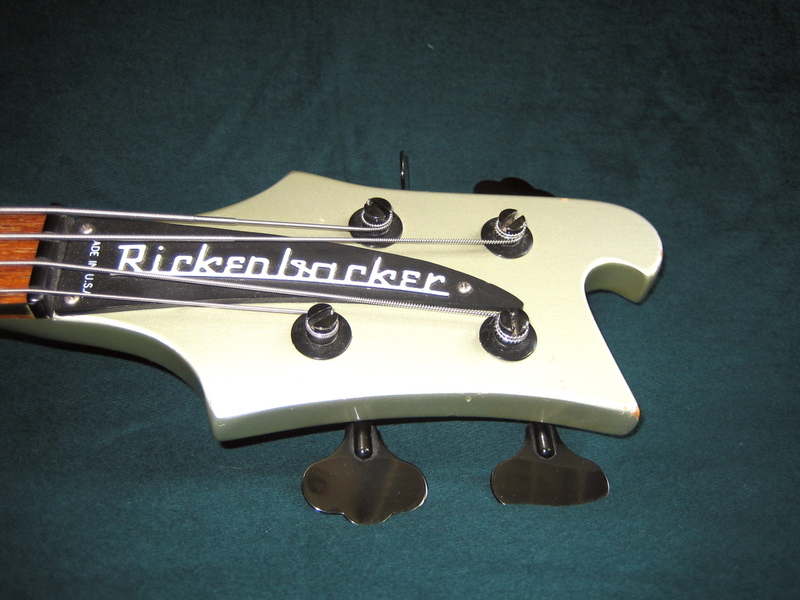 In 1979 Rickenbacker came up with a model updated for use with roundwound strings. 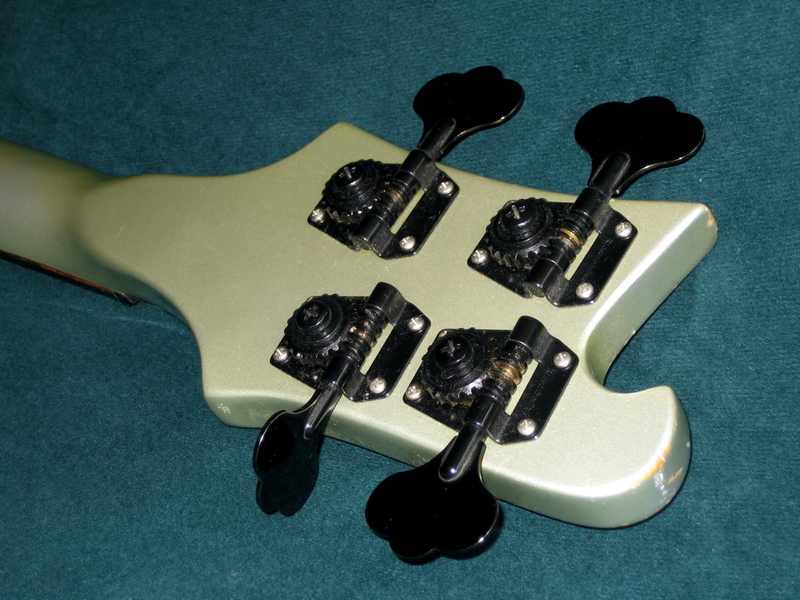 The new bass was named the 4003 and it featured new truss rods (Rickenbackers always have two!) and more powerful singlecoil pickups with the neck unit moved slightly closer towards the bridge. My own Rickenbacker 4003 was built in 1987. Except for the rosewood fretboard, a 4003 is crafted completely from maple. The neck goes all the way from the headstock to the end of the body (a so-called Through-Neck), while the body is formed by two pieces of maple glued to the neck’s sides. Rickenbacker typically uses a reddish type of rosewood for their fingerboards, which are usually gloss-lacquered. 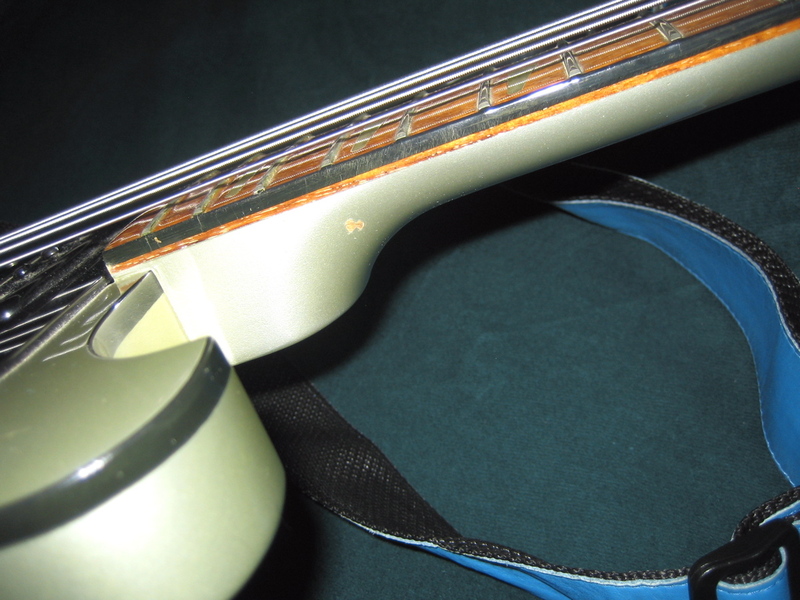 Another typical company trait is the narrow binding, which leaves a visible gap between the binding and the neck’s finish. The tuning machines have been made in Germany by Schaller. 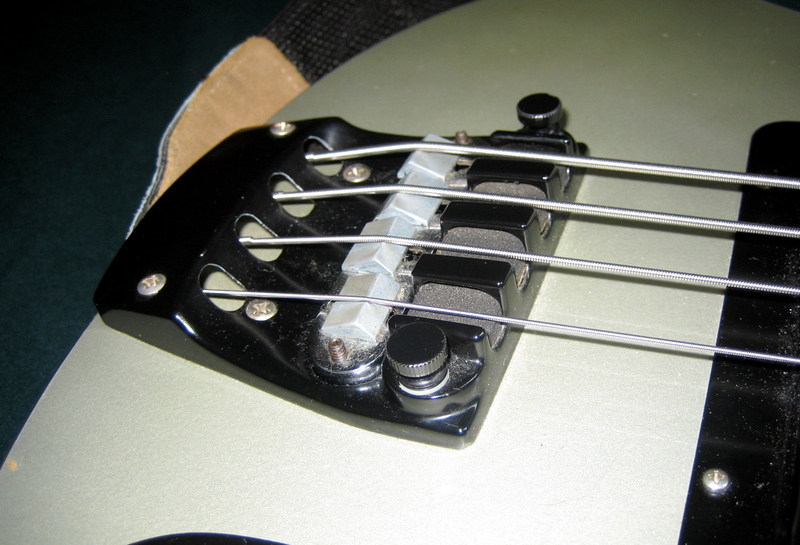 Rickenbacker’s idiosyncratic bridge design includes an adjustable string mute mechanism. Setting the correct octave compensation is a little bit more complicated than it need be – you have to detune the strings to get to the adjustment screws. Alongside the use of maple as the instrument’s main ingredient the 4003’s singlecoil pickups play a large role in this model’s throaty tone. Most users remove the bridge pickup’s metal cover, as it tends to get in the way of your right hand. The silver metal finish is kind of rare, even though a similar bass appeared on the cover of Rickenbacker’s bass catalogue in the mid-80s. 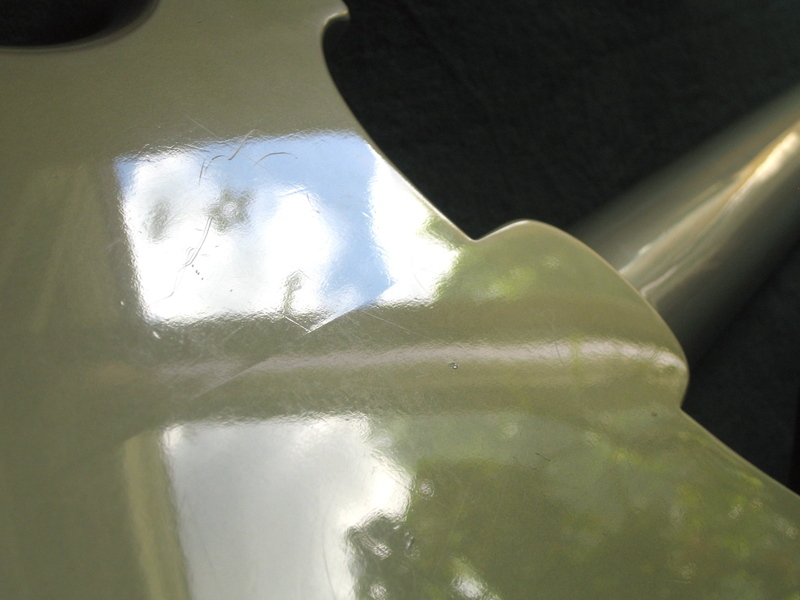 The most popular finishes are ”Fireglo” (a red sunburst), ”Jetglo” (black) ja ”Mapleglo” (natural gloss finish). You can check out the sound of my 4003 here or here.